Pamela M. Gordon, Esq. is a litigation attorney with over twenty years of legal experience. She has a Bachelor of Science in Communications, from Florida State University, and a Juris Doctor, from University of Miami. Ms. Gordon is the founding Partner of the Law Office of Pamela M. Gordon, P.A., in Hollywood, Florida. In June 2017 in recognition of her exhibition of the highest degree of professionalism, Ms. Gordon received the Broward County Bar Association’s Joseph J. Carter Professionalism Award. Ms. Gordon has experience practicing in the areas of marital and family law, commercial litigation, foreclosure defense, bankruptcy and appeals. She has a Fourth District Court of Appeal opinion which is a precedent in the State of Florida, as it relates to Parenting Plans and Timesharing. Ms. Gordon is also a trained collaborative law attorney and a marital and family law mediator. In addition, Ms. Gordon is passionate about giving back to her Caribbean American Community and her Community at large. She organizes and participates in Town Hall meetings informing and educating residents about various legal issues that impact their daily lives. Ms. Gordon, volunteers for Broward Lawyers Care Advice and Counsel Hotline, where she donates her time making telephone calls to citizens seeking advice in different areas of the law. Additionally, she accepts pro bono cases from Miami-Dade County’s Legal Aid, Put Something Back Program, for citizens dealing with family law or bankruptcy issues. 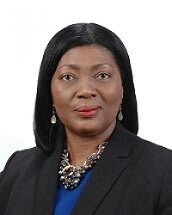 Ms. Gordon is the Chair of the Florida Bar Grievance Committee Section 17 B; Board Member of the Broward County Women Lawyers' Association and Board Member of the Caribbean Bar Association Foundation. Ms Gordon is a current member of the American Bar Association; Broward County Bar Association; The Florida Bar Family Law Section; The Florida Bar Appellate Practice Section; The Florida Bar General Practice, Solo and Small Firm Section; Caribbean Bar Association and National Association of Professional Women, Ft. Lauderdale Chapter. Her former memberships include, Chair of Legal Aid Service of Broward County and Coast to Coast Legal Aid of South Florida; Board Member and former Co-President of Kidside Inc.; First Family Law Inns of Court; two term President of the Caribbean Bar Association and Deputy Jamaica Diaspora Advisory Board Member for the Southern United States of America. Ms. Gordon is a past recipient of the Jamaican American Bar Association’s Outstanding Attorney Award; JM Family Enterprises African American Achievers Nominee; In Focus Magazine "Woman of Distinction" recognition; Caribbean Today Newspaper- 50 Outstanding Jamaicans in South Florida, and the Greater Hollywood Chamber of Commerce "Glass Ceiling" Award Nominee. Ms. Gordon enjoys traveling and is an avid sports enthusiast. Ms. Gordon, aspires to be a Judge and has a strong passion for the Rule of Law and a dedication to public service.